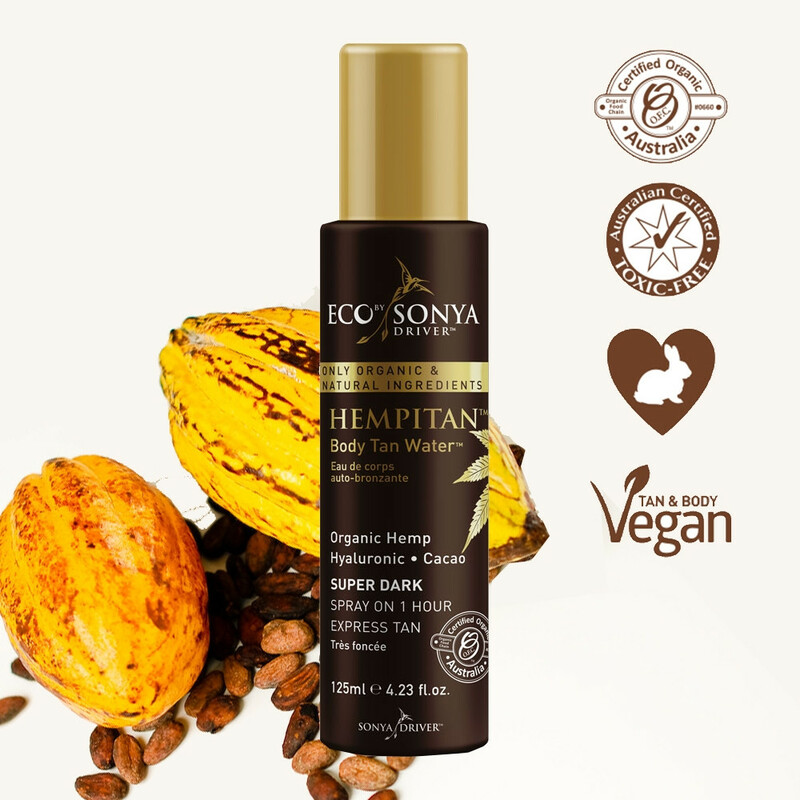 HEMPITAN™ is a certified organic Body Tanning Water that delivers a Super Dark tan and contains Hemp Seed Extract known for its phenomenal skin moisturising properties. CLEAR Pure Hyaluronic naturally boosts the moisture in your skin. All Eco By Sonya products are made with only Certified organic and 100% natural ingredients with nothing artificial or synthetic with no nasty chemicals.